I’m very lucky to have ambitious and inspired friends like Ryan. He constantly pushes all around him to make people more conscious, more involved, more informed, and more fit. Yes, more fit, might be the best description for a buddy who now has a term that describes the process wherein one begins a cursory run or bike ride only to realize that the perfunctory nature of the workout slowly morphs into a point-of-no-return epic endurance event. 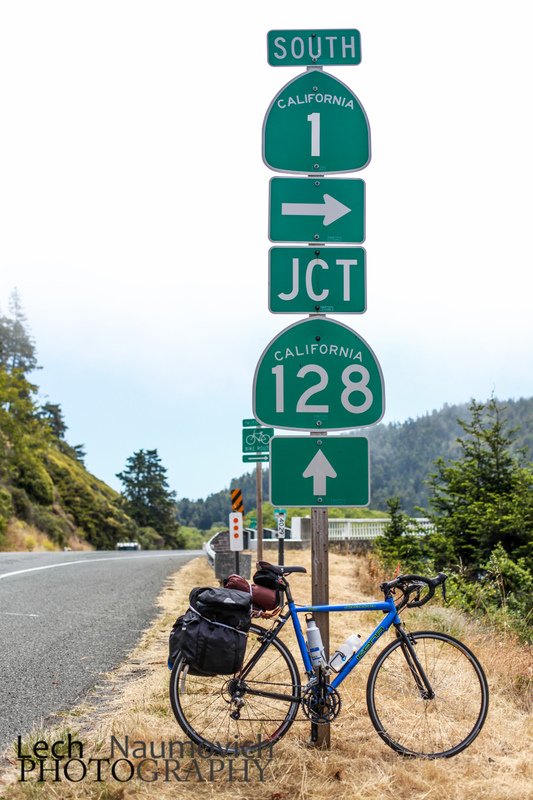 Ryno and Dad (Tom) set out to ride from Canada to San Francisco with only a set of panniers. When I met them in Fort Bragg, they were all ready well broken in (physically) with the joint metabolism of a middle school soccer team. In fact, before I could finish my first slice of pizza at the “glad you’re here sucker” dinner, they had nearly finished half a pie each. They were machines. 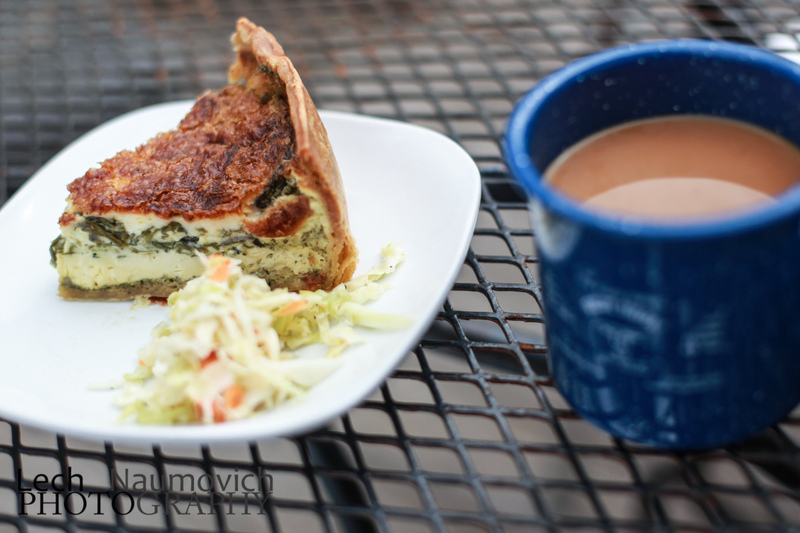 An Amazing breakfast from the Goodlife Cafe & Bakery – Quiche, slaw, coffee – and bread pudding too! I had come off a series of buses and transit from my home in Alameda and I was happy to have arrived without the use of a personal vehicle. Ryno’s project Transit and Trails celebrates such a mode of getting into the outdoors – using existing transit resources to reduce carbon and impact in outdoor adventures. My trip to Fort Bragg was long, and it wasn’t exactly cheap (albeit still way cheaper than by car counting gas, environmental impact, and car upkeep), but it was rewarding stepping off that last bus knowing that the only way home was going to happen by petal power: 200 miles over 3 days. I especially want to thank the Airport Express Inc staff that were very gracious in accommodating my bike. Here are a few pictures that depict the ride as well as some of the amazing coastal people who make this place so special. 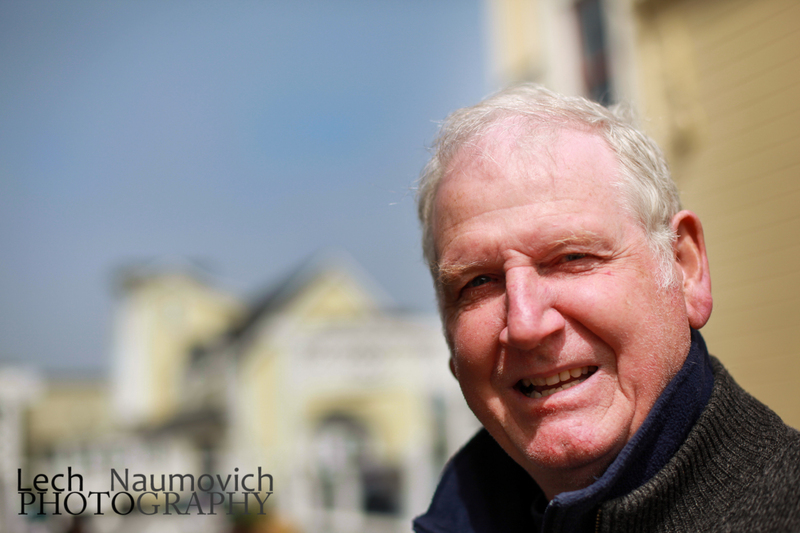 I wanted to photograph the locals – the people who live here not as retirees, but as people active in the workforce. 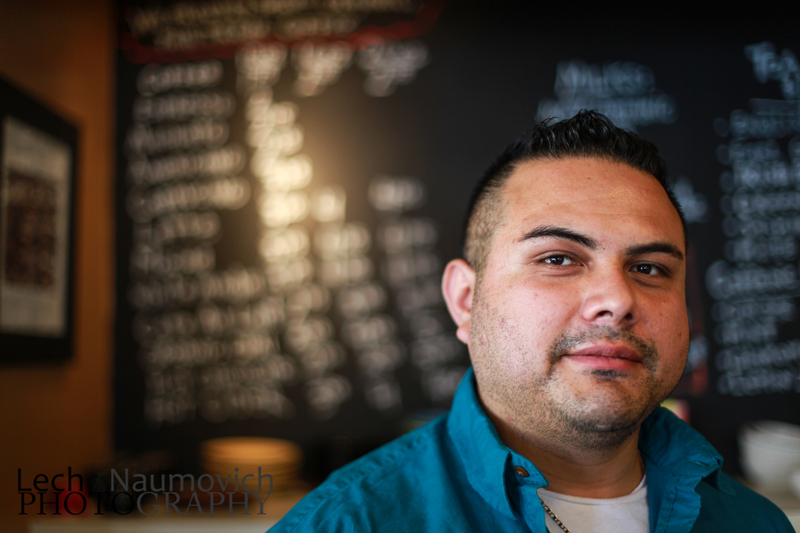 Although many people were not openly comfortable with being photographed by some stranger, a good conversation usually ensued allowing me to snap some photos of people in their element. I was the traveler, they were the expert. I was meeting them on their turf and I think this made all the difference in most cases. People were typically caught off guard – but I never applied more pressure than what I considered a well-timed “ask, and I always allowed people room to run. Interestingly, the closer I got to SF the more often I was turned down. People that I was so excited to meet and photograph basically just said no – some were very self-conscious, some were hiding, some were looking to not be found (I told them my readership here is slightly smaller than Time Magazine), and some were just puzzled as to why I wanted to take a photo of them. Any photo can be clicked on to enlarge, with the caption telling you a bit about that person. Rod carves custom Irish wooden flutes specializing in instruments for Mozart concerts. 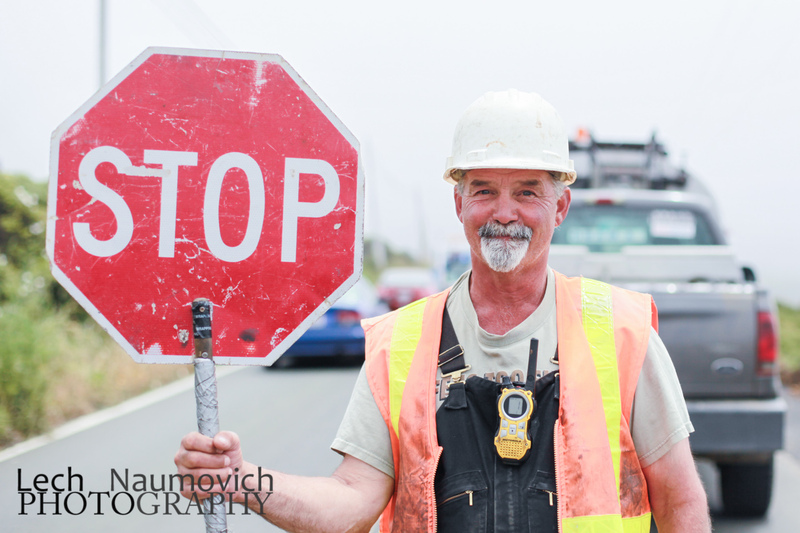 Bill the construction worker, happy to be operating the sign for a break from the heavy equipment. Sis and Bear in Elk – my second favorite town on the ride. 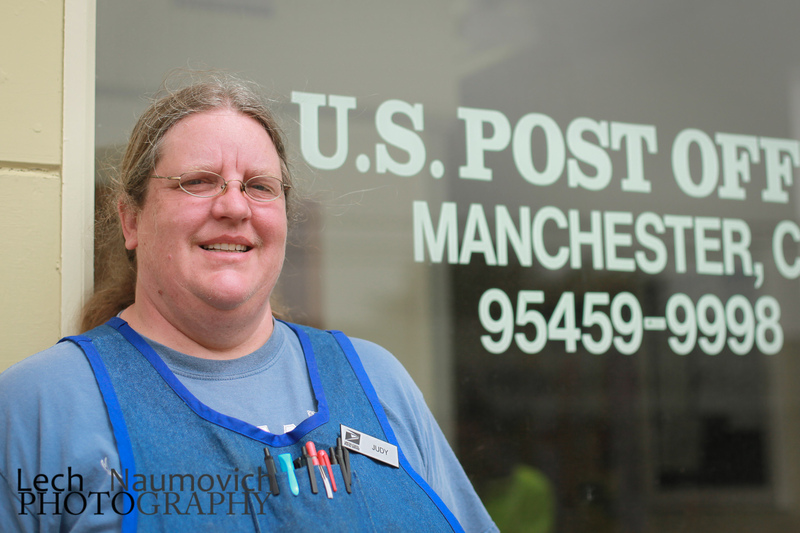 Judy – Post Office czar in Manchester. She’s a huge supporter of riders sometimes offers up her place on warmshowers.org to travelers needing a place to stay. 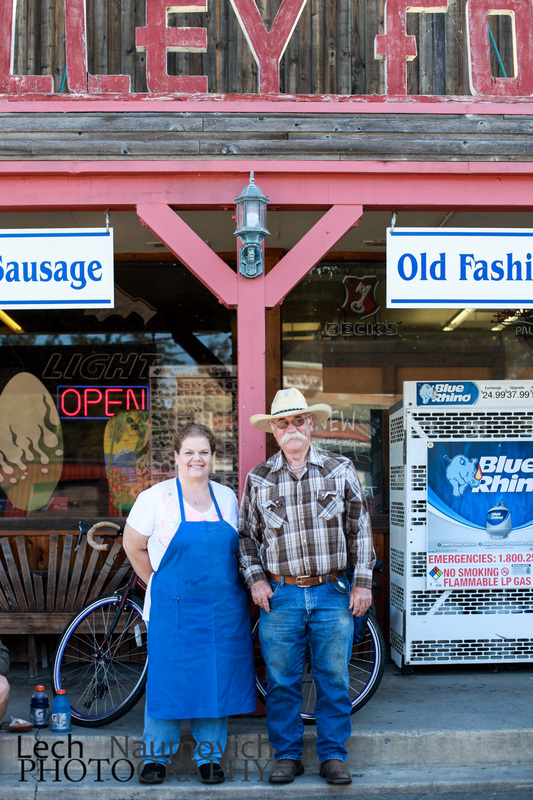 Walt and Kim have a heaven sent store in Valley Ford stocked with all the goodies you need when traveling locally. They’ve been running this store for generations. 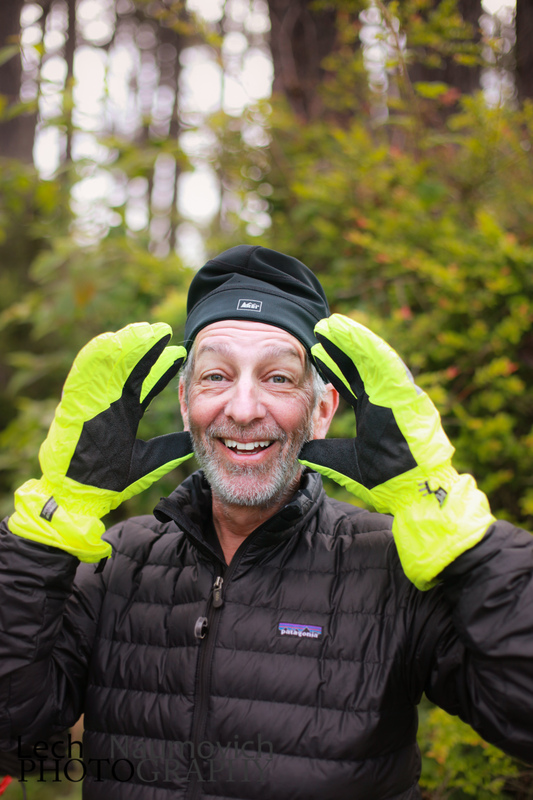 Waterproof (dayglow) gloves that Tom was sporting – and no – these were not waterproof as promised. Yup, Ryno basically Rynoed his dad with the 7 days of rain in the Pacific NW. 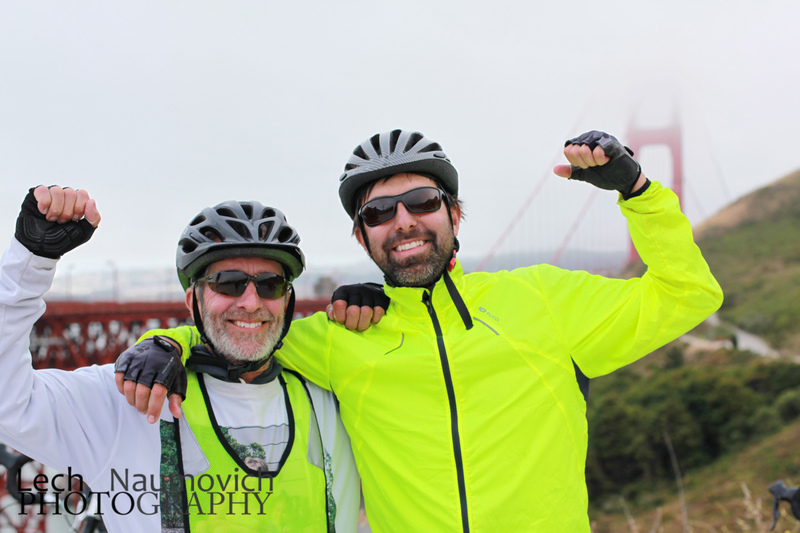 And the finish line – the Golden Gate Bridge – Ry and Dad. Here’s our route – linked to google maps so you can explore it. 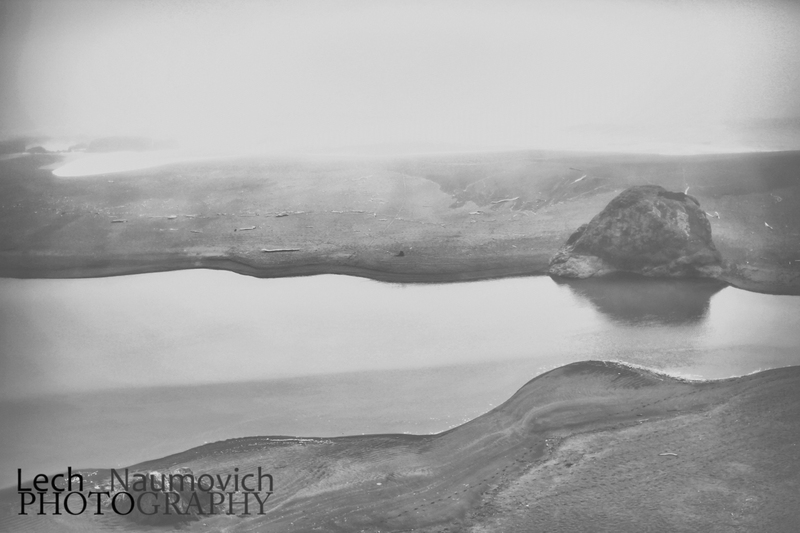 More images from the ride…. Castilleja in bloom right off the 1! Lots of amazing coastal prairie and ranchlands. Enjoying another secret public beach. 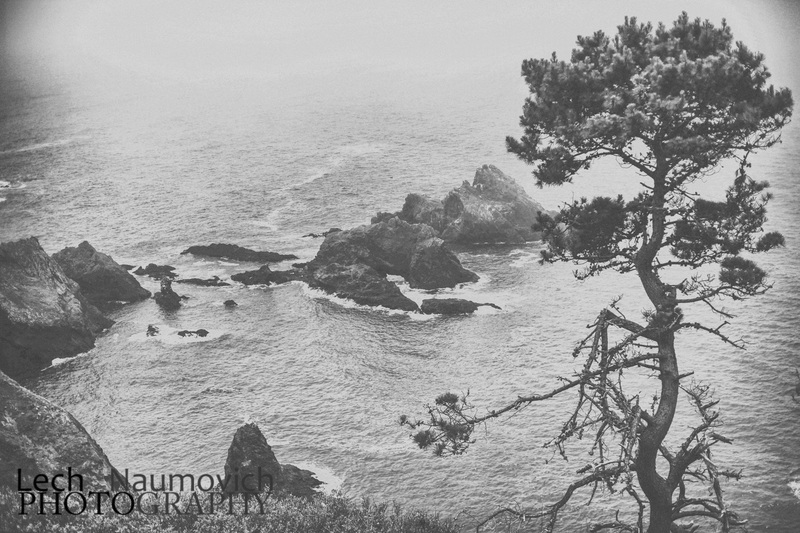 The breadcrumbs of the Mendo coast. Scrub and grasslands and cows. Road realignment… now and then. Brian is a California State Parks employee. He works on the maintenance crew at Fort Ross, helping upkeep the historic windmill, visitor center and grounds. Dallas from Blue Waters Kayak. Great photos. Ryan and Tom you are amazing! Gary D.
Thanks Gary – I agree that Tom and Ryno rock! Lech, very impressive selection of shots. I’m amazed that you pulled all of this off while we pedaled along the highway. Thanks for joining on the adventure, you don’t know how much it meant to me to have you along for the ride. Much love! 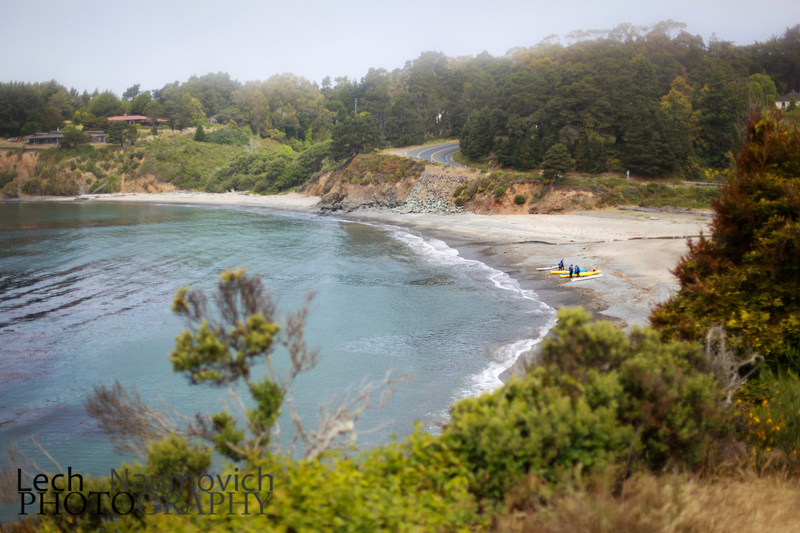 Thanks Ryno – I had a great time enjoying the Northern California coast with you and Bucko! It was such an amazing adventure filled with lots of surprises, laughs, great conversations, and great riding. I loved the people with whom we interacted. They were invigorating and inspiring. Bike touring with buddies rocks! What a wonderful story and photos. 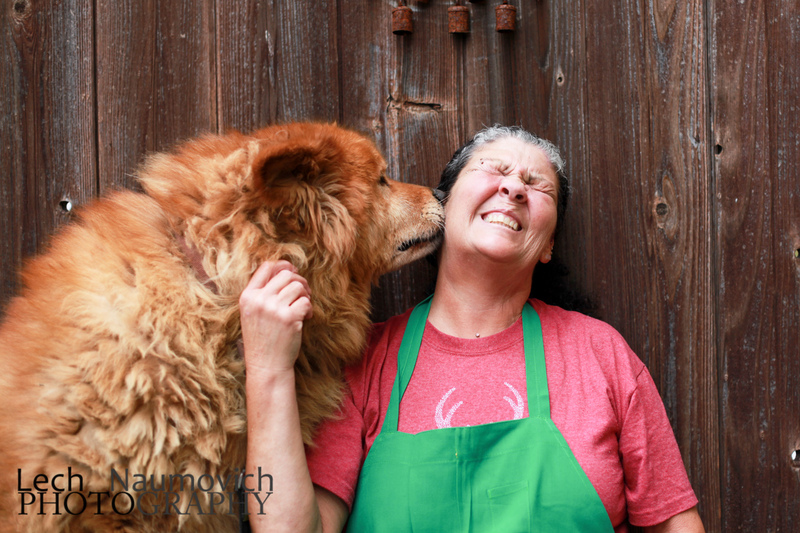 I love photos of people in their natural life, just as you captured. I have to give a shout out to the Valley Ford store, since it was our closest store growing up and served us well when we ran out of something or forgot a crucial ingredient. You probably rode right past my childhood home in Bloomfield, just down the road! I loved that store. What a cool place! Lech. Great pics! That “bear” looks just like my dog, Mingus. Thank you. I just corrected it. I hope all is well in Elk! I love my Elk softball team hat!! !